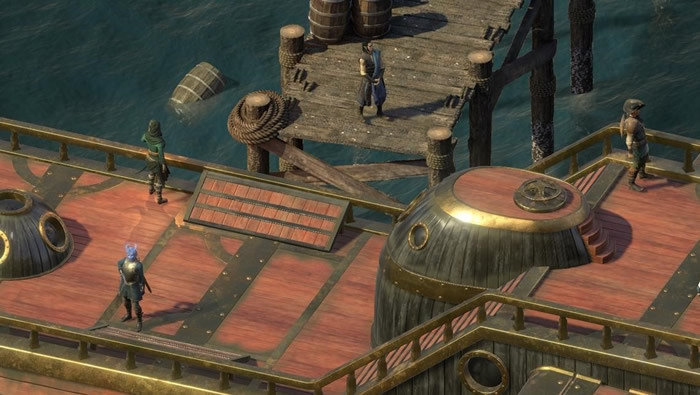 Check out the complete list of all active and passive skills in Pillars of Eternity 2: Deadfire. Obsidian Entertainment's latest RPG Pillars of Eternity 2: Deadfire is a pretty complicated game. While poring over different character creation options like race, culture, and jobs, players will find themselves raising or lowering statistics concerning many of the game's different active and passive skills. These skills tie into the many different choices players will make in-game, primarily with regard to different dialog options that can be passed if the hero has a high enough skill rating. Keep reading to learn more about all the different active and passive skills available within Pillars of Eternity 2: Deadfire. Alchemy ties into the use of various potions — "Alchemy deals with the natural and supernatural properties of plants, body parts, and gemstones. It affects the usage of all drugs, poisons, and antidotes, generally increasing potency and duration of effect." Arcana concerns itself with magic — "Arcana covers knowledge of all things magical that do not deal with metaphysics. In combat, it can be used to increase the power level of scrolls." Athletics corresponds to talent with physical strength, endurance, and training, and also ties into the Second Wind ability — "Adventuring is tiring work. In addition to the hazards of mortal combat, adventurers have walls to climb, rivers to cross, and pits to leap over. Once per encounter, characters with Athletics can use the Second Wind ability to recover lost Health. A higher Athletics score increases the effect of Second Wind. In conversations and scripted interactions, Athletics is used for physical feats like climbing, swimming, and jumping." Explosives is all about blowing stuff up — "The Explosives skill improves the accuracy, damage, and effectiveness of bombs, noisemakers, and similar devices." Mechanics relates to character skills with traps and locks — "Traps and locks can be a problem for even the toughest adventurers, draining their resources and injuring or killing those who are unfortunate enough to trigger an unseen floor plate. The Mechanics skill makes it easier to open locks and disable traps. Additionally, any character can use the Mechanics skill to place traps of their own. The higher the Mechanics skill, the more accurate the trap. In conversations and scripted interactions, Mechanics can be used to activate or disable a variety of machines." Sleight of Hand concerns traditional notions of pilfering — "Whether you want to lift a few coins from an unsuspecting mark or plant incriminating evidence (or worse) on an enemy, Sleight of Hand can get the job done without drawing much suspicion." Stealth, unsurprisingly, is about being sneaky — "Stealth allows characters of any class to attempt to avoid being seen or heard. It is used automatically whenever the character is in Stealth mode. The higher the character's skill, the closer they can get to enemies before being detected." Bluff concerns itself with the art of misdirection — "All but the most honest adventurers find it useful to stretch the truth on occasion. Unscrupulous denial, feigned ingorance, gross exaggeration, and bald-faced lying are all covered by this skill." Diplomacy relates to the character's instincts regarding fairness and reason — "Diplomacy can be used to negotiate rational and reasonable resolutions to difficult situations. It stresses patience, respect, and sensitivity, and may therefore be despised by the rough edges of Eoran societies." History, as might be imagined, centers around knowledge of the past — "A broad skill, history covers the commonly-accepted narratives of Eora's civilizations and how they came to be. As this skill draws freom many sources, a measure of folklore has been woven into many stories." Insight deals with the hero's strength in empathy — "Conversations can be difficult to navigate. People may be evasive, lying, frightened, or preoccupied with other matters. Insight is used to empathize with someone and understand their underlying emotions and motivations." Intimidate is a skill about implied danger — "Through physical imposition, raw intensity, and overt threats, intimidate allows a character to leave onlookers shaken and cowed. Though not everyone responds well to intimidation, it can be used as an effective tool of persuasion." Metaphysics involves an understanding of abstract scientific concepts — "A y oung field of knowledge, metaphysics deals with animancy, adra, the Wheel, the In-Between, the Beyond, and all mysteries of the soul." Religion is fairly self-explanatory — "Religion covers both the theological concerns of Eora's various religions as well as popular beliefs, saint cults, and religions organizations in the world." Streetwise is all about practicality — "Streetwise covers the basic rules of survival one learns on the streets and back allies of major cities. It includes urban readiness as well as appropriate etiquette for dealing with unsavory types." 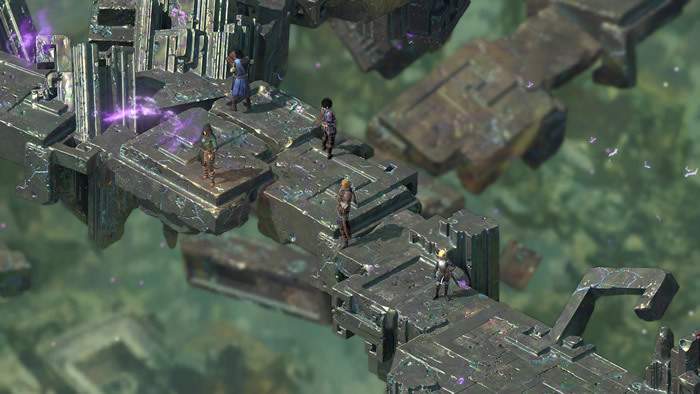 Survival in Pillars of Eternity 2: Deadfire is primarily concerned with understanding the natural world — "Survival can be used in conversations and scripted interactions that involve wilderness challenges or specialized information about nature." There's a lot more to Obsidian Entertainment's latest RPG, so be sure to head over to our Pillars of Eternity 2: Deadfire walkthrough and guide hub to learn more about the game's various mechanics, abilities, achievements, and more.